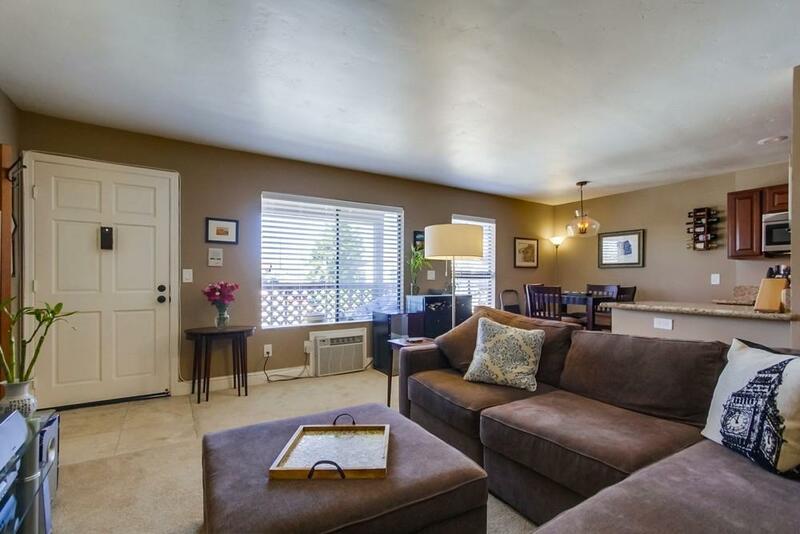 Move-in ready 2 bed 2 bath 2nd floor unit in coveted Normal Heights community! 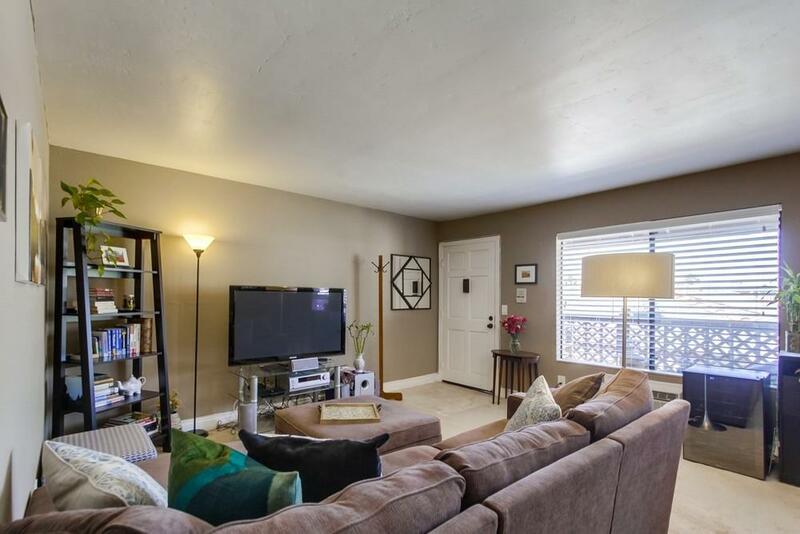 Open & bright floorplan features updated kitchen w/ custom cabinetry, granite counters & SS appliances, neutral color palette, wall a/c unit, upgraded vanities, tiled guest shower and 1 car garage. Spanish style building in well-maintained, gated complex near Adams Ave shops & dining! 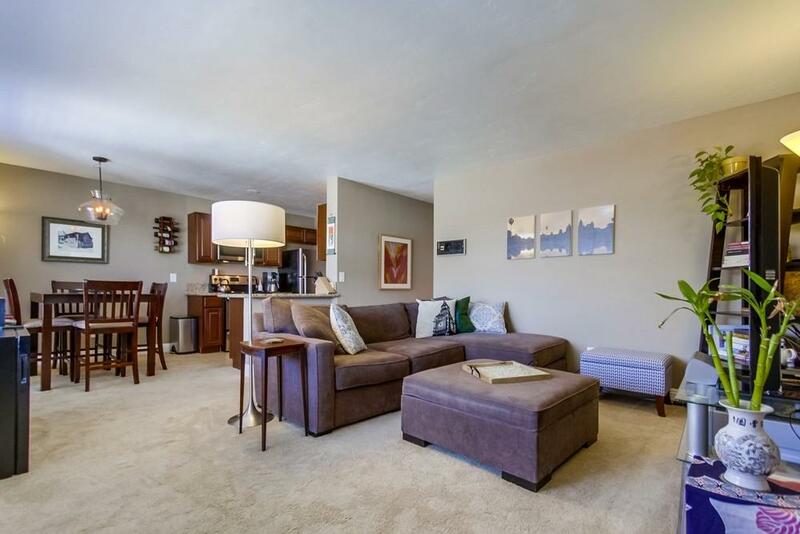 Centrally located among North Park, Kensington & University Heights & close by Balboa Park! 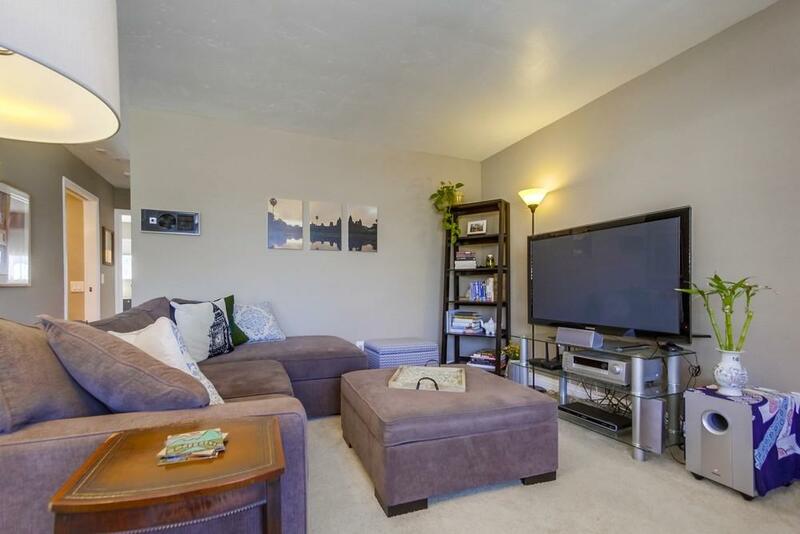 Perfect for investors or first-time buyers! LOW HOA! !